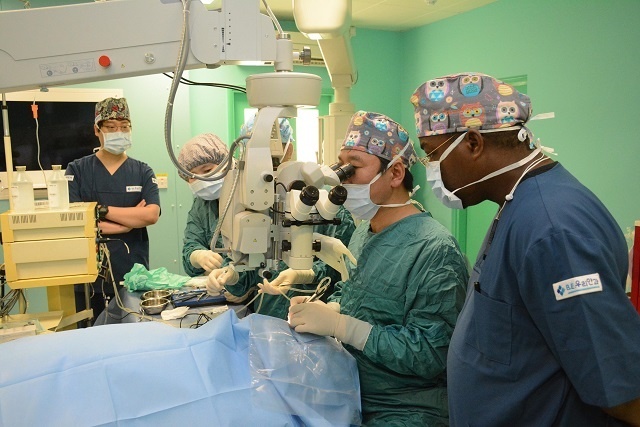 (Seychelles News Agency) - The charity group ‘Make a Child Smile’ is bringing in eye specialists from the United States to assist residents in Seychelles whose visions are impaired, said the founder of the group. 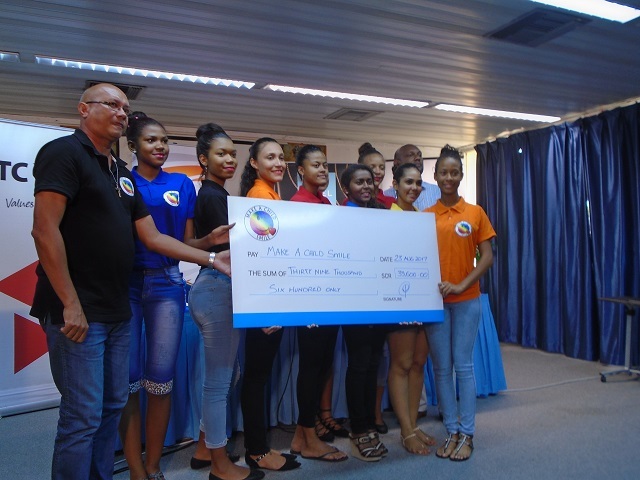 Clifford Mondon made the statement last week when receiving a donation from the talent show organised by the Miss Seychelles pageant. “Low vision specialists from Maryland are expected on the islands by early next year for consultations. Their visit will give the opportunity to children and adults with vision impairment the hope of being able to see by making use of their special vision aids and other forms of technologies,” said Mondon. Vision Care Seychelles, a local optometrist, will provide space at its clinic where the tests will be conducted. Mondon said he hopes that this will be the beginning of a partnership which will provide these tests on a more regular basis and supply the vision aids which will be brought in from the U.S.
“I know that this can be a life changing experience and already one young Seychellois, Auria Barbe, has benefited from these vision aids,” he said. Mondon added that Make a Child Smile will also assist one contestant with her project -- Ella Marie – who is working with a boy who has no eyes due to cancer. The little boy is expected to be seen by the American specialists. For the first time this year, the contestants of the Miss Seychelles pageant organised a talent show to raise funds for charity. The donation totalling to $2,876 (SCR39,600) was raised through the sale of tickets for the show held earlier this month. The chief executive of the Creative Industries and National Events Agency, Galen Bresson, said that it was the agency’s vision for the beauty pageant to be something meaningful and goes beyond the night of the crowning. “It was an innovative thing that this year’s pageant came up with. We are very happy to have made a child smile and next year it can with the same group or another. We still hope to do something meaningful for the community especially the less privileged," Bresson said. The chief executive added that “I also wish to highlight that it is the 14 contestants who individually contributed towards this cause, giving the pageants’ motto ‘beauty with a purpose’ its full meaning." Miss Seychelles 2017 is Hillary Joubert, who won the crown on Saturday. Petra Tamatave was crowned the 1st Princess and Serah Jumaye 2nd Princess, in the ceremony held at the Avani Seychelles Barbarons Resort and Spa.